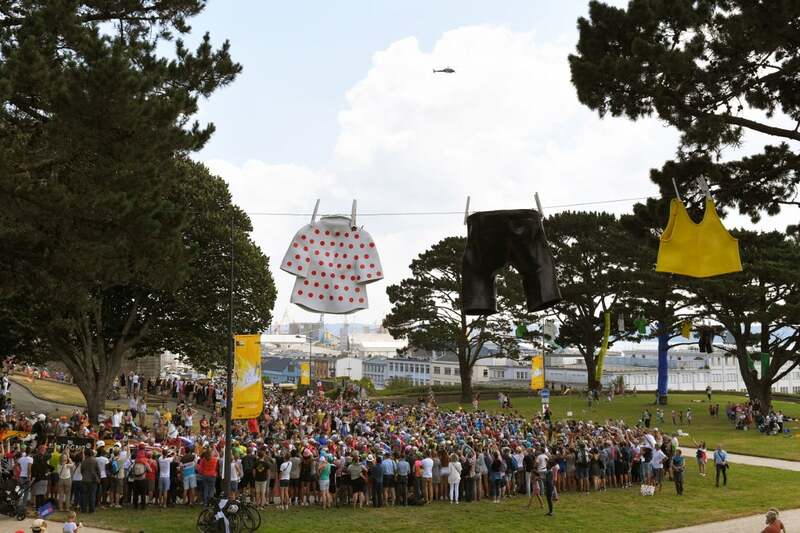 There won’t be a big group tackling the finale of the two-kilometer climb of the Mûr de Bretagne, as has been the case in previous years. That’s because this year the riders will tackle the hill at Mûr de Bretagne on two occasions in less than 20 kilometers. That is likely to result in a particularly testing end to the stage while producing splits. Many riders will lose precious seconds here. 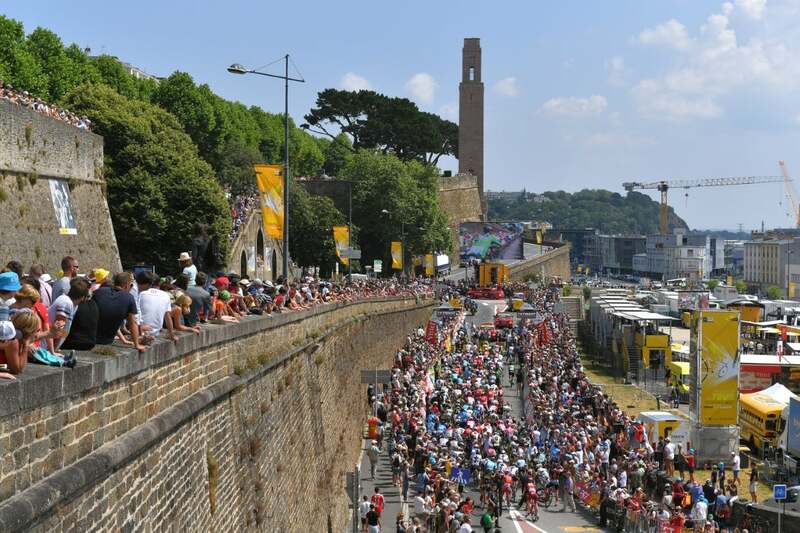 It’s a finish for the strongest riders, perhaps even for yellow jersey contenders. In 2011, Cadel Evans won the stage on his way to overall victory. In 2015, Alexis Vuillermoz won, and behind him, Froome showed that he was the boss. 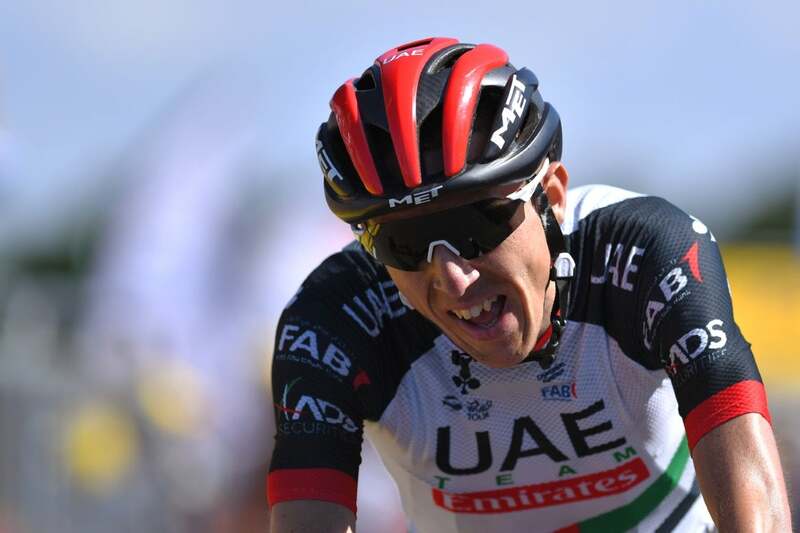 Three years after coming up short on the Mur de Bretagne, Dan Martin (UAE Team Emirates) got revenge on Thursday, winning Tour de France stage 6 atop Brittany’s steep climb. Pierre Latour (Ag2r La Mondiale) came close but couldn’t reel in the Irishman in the final 500 meters, settling for second place. Alejandro Valverde (Movistar) rounded out the day’s podium in third. BMC’s Greg Van Avermaet kept the overall lead, finishing 12th. 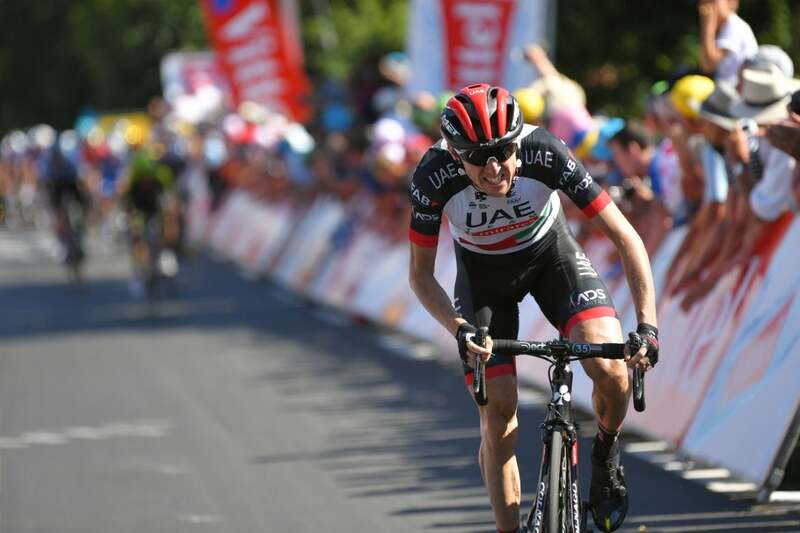 However, a few notable GC riders lost time on the sharp finish after 181 kilometers. Tom Dumoulin (Sunweb) had an untimely flat just outside of 5km to go. He chased hard but ultimately lost 53 seconds. 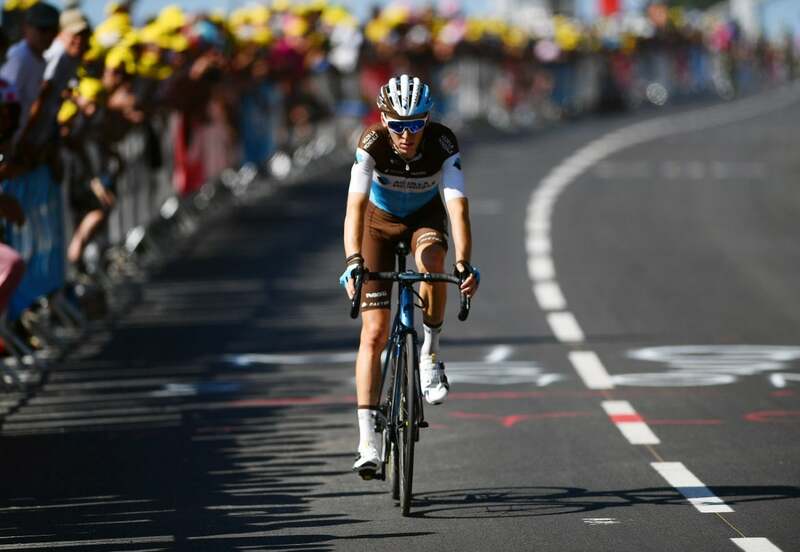 Romain Bardet finished 31 seconds down, riding his Ag2r teammate Tony Gallopin’s bike after a mishap. The GC riders were put on guard early in the race. 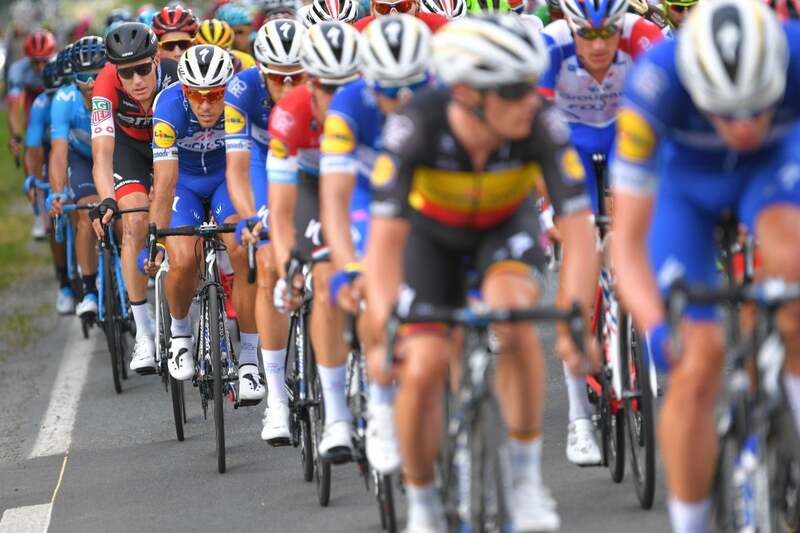 With 100 kilometers to go, Quick-Step guttered the field in a crosswind, chasing a break that was 10 minutes up the road. 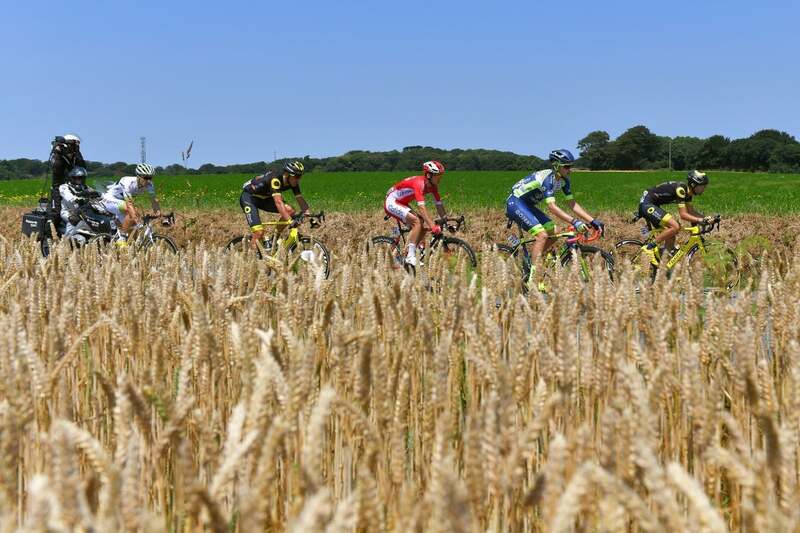 Nairo Quintana (Movistar), Ilnur Zakarin (Katusha-Alpecin), and Primoz Roglic (LottoNL-Jumbo) were caught behind. Eventually, they rejoined the peloton, in large part thanks to work by Roglic’s teammates. 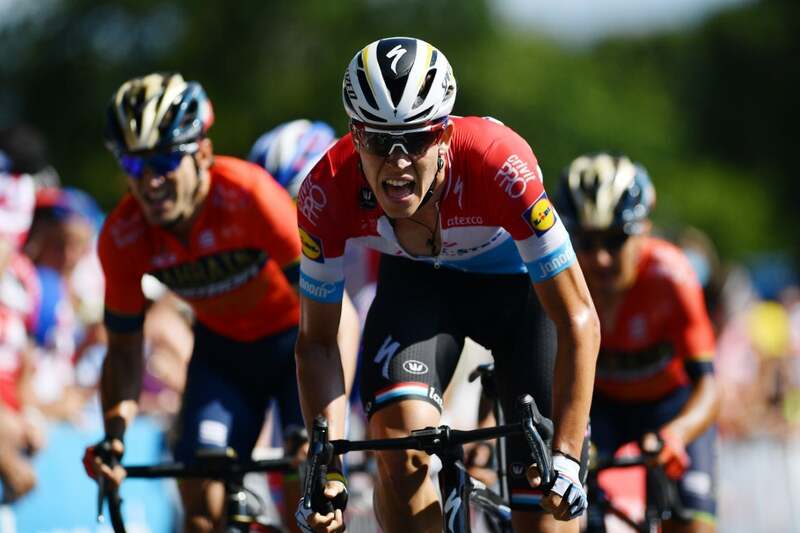 The race would go over the Mur de Bretagne twice, and in the pandemonium of the first approach to the category 3 climb, Jakob Fuglsang crashed. His Astana teammates dropped back and helped him rejoin the peloton. The Dane would go on to finish with the front group. 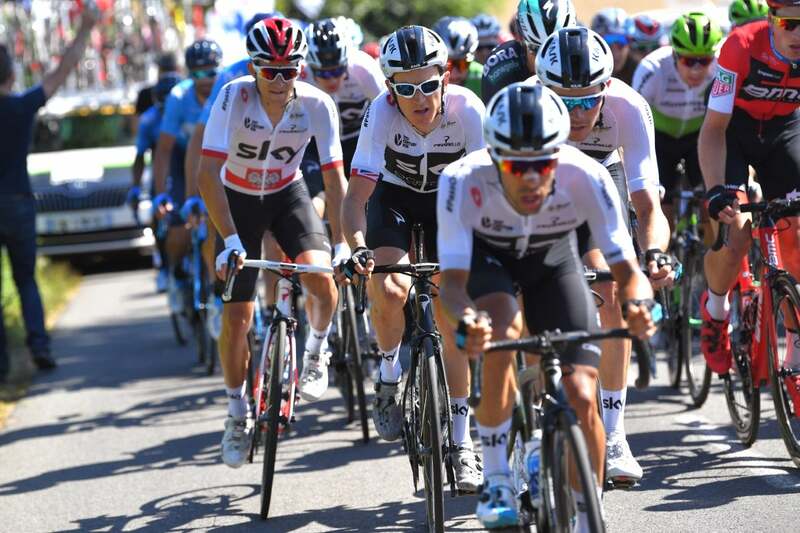 On the first trip up the Mur, the break was caught just in time for Toms Skujins (Trek-Segafredo) to take the king of the mountains sprint, shoring up his lead in the polka-dot jersey. Mitchelton-Scott’s Jack Bauer used that move as a springboard to solo off the front, but he was caught before the fireworks on the finish climb. With about 1.5km to go, Daniel Oss went to the front of the peloton, driving the pace for his Bora-Hansgrohe teammate Peter Sagan. 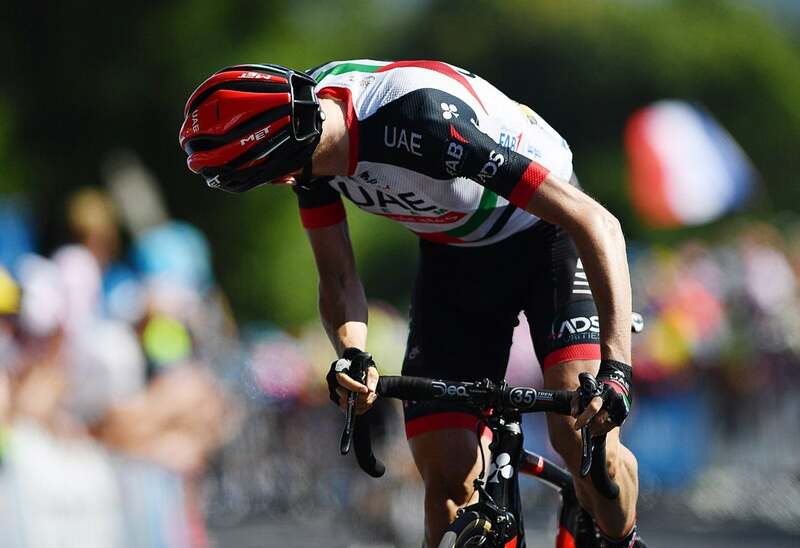 Just outside of the final kilometer, BMC’s Richie Porte tested the peloton with an acceleration, drawing out Martin who attacked hard on Porte’s left. With 1.2km remaining, it seemed too soon. Van Avermaet wasn’t surprised to see such an early attack by Martin. However, Martin quickly grew his advantage. 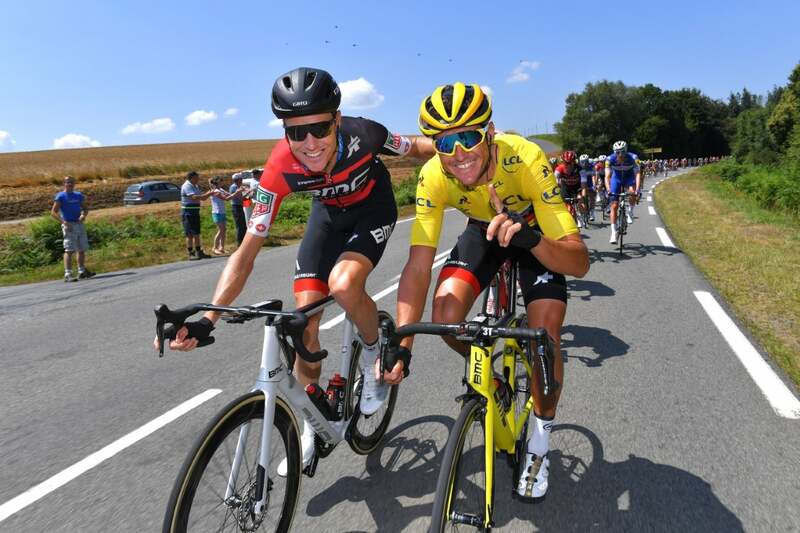 First Adam Yates (Mitchelton-Scott) tried to chase, then Porte went to the front. Neither could claw back Martin. Finally, about 500 meters from the line, Latour went clear. Although he trimmed Martin’s lead, he couldn’t close the deal as the road’s gradient eased off in the final 200 meters. 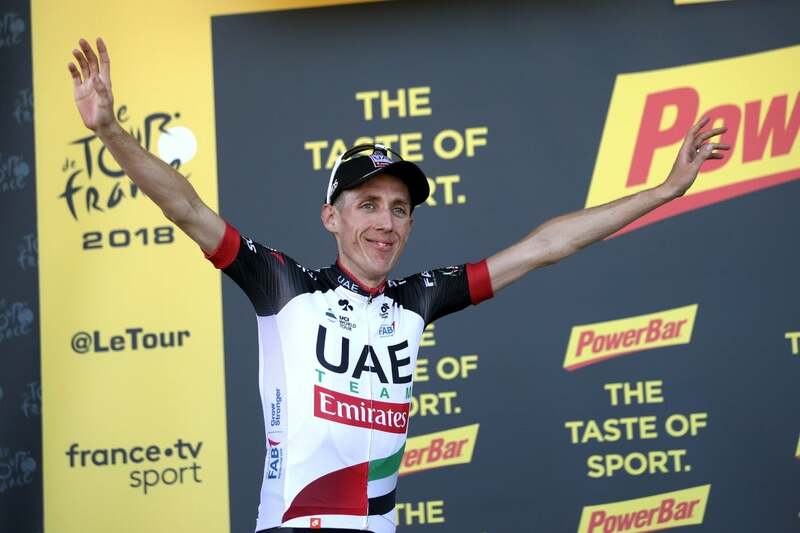 Martin celebrated his first Tour stage win in five years, saying it was enough to make this race a success for him. “It makes this Tour a success, and anything else is a bonus,” Martin said. 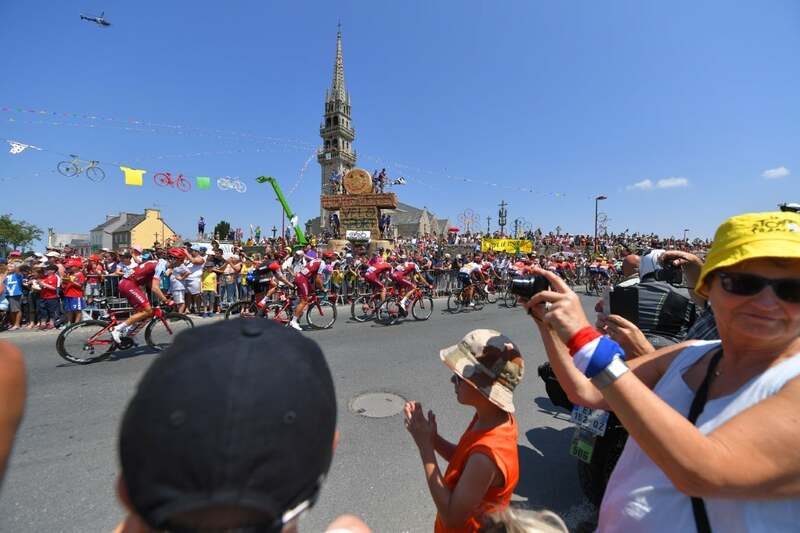 Friday’s stage 7 will be the Tour’s longest day at 231 kilometers. 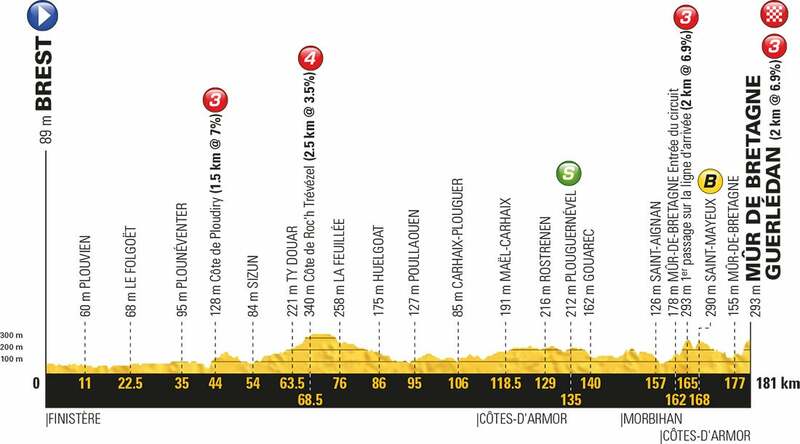 The flat race from Fougères to Chartres will be one for the sprinters.